What's the difference between virgin and extra virgin olive oil? What makes an olive oil "extra-virgin" instead of "virgin"? 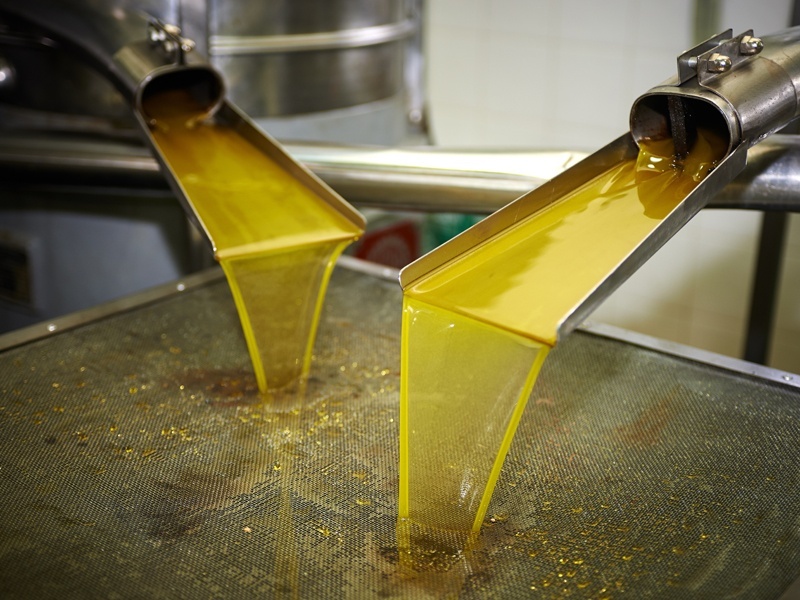 Olive oils are graded using the International Olive Oil Council standards. The International Olive Council (IOC) is a United Nations-chartered organization that has been recognized for more than 50 years as the worldwide quality-standard setting body for the olive oil industry. According to the IOC, both virgin and extra virgin olive oils are extracted by using only mechanical methods (no heat or solvents are allowed). After the oil is extracted, it is graded. If the olive oil is found to be fruity, has no defects and has a free acidity that is less than or equal to 0.8 , it is graded as extra-virgin. If the olive oil has minimal defects and is found to have a free acidy between 0.8 and 2.0, it is graded as virgin. Both extra virgin olive oil and virgin olive oil have the same amount of antioxidants and are tested to ensure purity. Note that in North America, virgin olive oil is not sold retail. 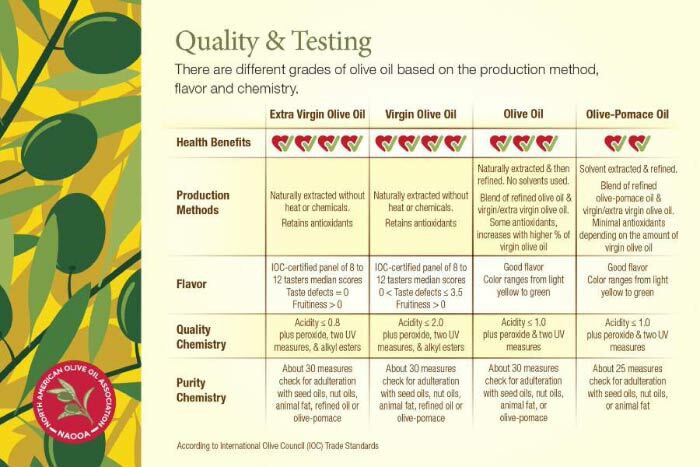 Fore more information on olive oil grading and standards, watch the video below.